The life of your average teenager is filled with drama both big and small. But put a teenager in the school drama club, surrounded by other teenagers who live to perform, and the drama quotient will go through the roof. Life will be filled with everything from the seemingly trivial (but absolutely vital) issue of stepping on each other’s lines to the more far reaching problems that accompany alcohol abuse, death and relationships. In Talent, fifteen-and-half-year-old Sandee Mason has a hard enough time dealing with auditioning for the school musical, getting her driver's license, and surviving Algebra. But she has to deal with a host of more adult problems all stemming from the disappearance of her big brother Bri while in Afghanistan. She discovers that real life doesn’t have a script as she deals with loss, the manipulation of Bri’s best friend, her burning ambition to find her talent and the mystery of what happened to Bri. Talent is available as a print and e-book at Amazon, Barnes and Noble, and IndieBound. To win a copy of Talent, please enter using the Rafflecopter form at the bottom of this post. The giveaway contest closes this Monday, March 7 at 12:00 AM EST. We will announce the winner the same day in the Rafflecopter widget. Good luck! 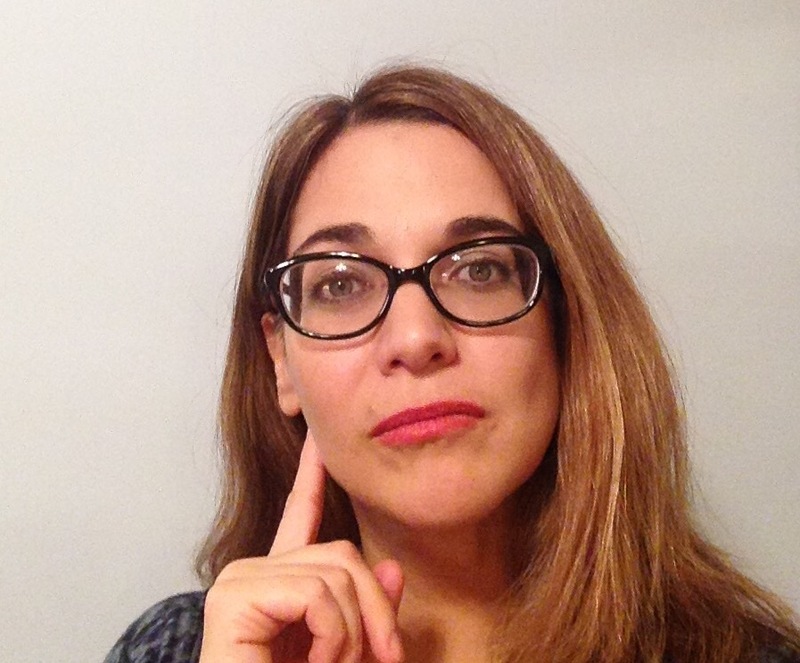 B. Lynn Goodwin is the owner of Writer Advice and the author of You Want Me to Do WHAT? Journaling for Caregivers. She’s been published in local and regional newspapers, plus numerous magazines, anthologies, and online journals. A former drama and English teacher, she now conducts writing workshops, writes book reviews, edits, coaches writers, and is currently working on a second book about Sandee Mason’s adventures and a memoir about getting married for the first time at age 62 to a two-time widower who she met on…gulp…Craigslist. She lives with her husband, Richard, and her dog, Eddie McPuppers, in Northern California. WOW: In the past, your writing has been on the non-fiction side of the library--writing how-to, memoir. What made you decide to plunge into fiction? LYNN: I had several stories to tell, and the best way to do it was to combine what I knew and what I was exploring in a work of fiction. In 1979 I directed the musical Oklahoma! at San Ramon High. All of the characters in TALENT are fictitious, but I remember feeling like I could read the minds of kids who knew they were not going to get chosen for a part but wanted to find their talent and some recognition for it. My fiction has roots in reality. No dystopian fantasy monsters or zombies here. WOW: So many of characters started out in a series of short stories? What made you decide to take the stories to the next level and write them in a novel? Or were the short stories “test runs” for the novel you were planning? LYNN: The articles for Dramatics were well received. I liked the characters and wanted to keep telling their stories. I had wonderful memories of directing Oklahoma! a few years earlier, so this seemed like the logical next step. WOW: Tell us more about your work as an educator. What lessons did you learn from your days as an educator that helped you as a writer? LYNN: I taught English and drama in high school and college. I learned to value teens, especially my students who wanted to succeed. I learned that teens are eager to embrace the world, that sometimes they are scared, but other times they are full of life, love, gratitude, and energy—crying out to be harnessed. I never thought of my young actors as students. I thought of them as actors, and I gave them the respect that eludes so many teens. WOW: As fiction writers, it's difficult enough creating realistic characters--but you had to tackle that tough subject: teenagers. Do you find teenager characters more difficult to write than adult characters? LYNN: I spent nearly 20 years teaching high school and college students. I knew my teenage actors very well. I still carry them with me in my head. These characters were easy to write. Some of them had already appeared in a series in Dramatics Magazine. I wanted their stories out in the world. WOW: Did you do any special research before creating your characters for Talent to ensure that they felt real and timely? Some writers have confessed to eavesdropping at the mall! LYNN: I did my research years ago. I wrote the first draft on an Apple IIC in the mid-eighties. It’s come a long way. Since I was in high school, I’ve understood that all teens want recognition, acknowledgement, respect, and most want freedom from the rules of Mom and Dad. These kids are on that road. I am rooting for them. Teens have many of the same goals as adults, but they have less life experience. I knew what they wanted, what they would do to get it, and who/what was in their way, so I don’t remember finding this difficult. If I did, though, I’d go into my journal, write “Sandee, what’s going on? You can tell me,” let her answer, and keep going. WOW: When you were writing Talent did you have any young adult beta-readers or "experts" to help you make sure your characters rang true? LYNN: Emily, one of my granddaughters (you have no idea how thrilled I am every time I write that—I got married for the first time four years ago to a two-time widower with seven adult children) was my teenage beta reader. She said it was good and she put a review on Amazon. She reads constantly and loves Harry Potter. Her cousin, Haleigh, got a copy after the book came out. I’m not sure she’s found time to read it yet. 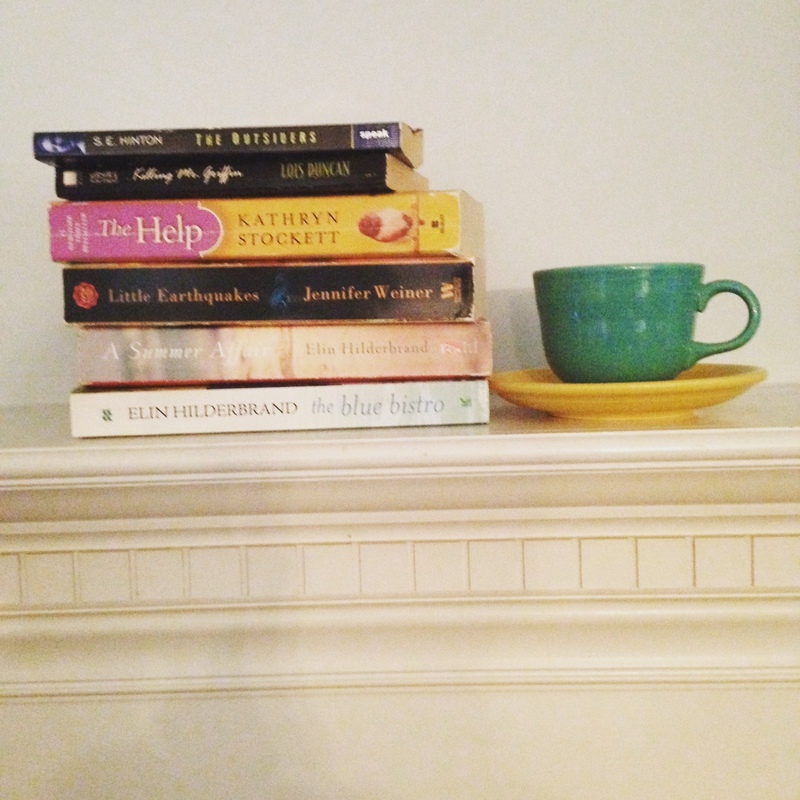 WOW: Do you have any advice for aspiring YA writers? LYNN: Whether you’re writing contemporary, realistic, fantasy, sci fi, or dystopian, be true to your characters. Make their goals real. If you don’t know what teens want, talk to them. You’ll find them in any Starbuck’s near a high school. You’ll find them in line at the DMV. You’ll find some in the library, some on the sports field, and some seeking work. Read Teen Ink. Volunteer in a school. Looking for the bad guys? Volunteer at your local juvenile hall. Let your characters and their environment guide the action. Never put their parents or teachers in charge. Of course it goes without saying that you should read YA. Also, try journaling in the voice of your characters. It’s a great way to get in their heads. Need an example? Sandee Mason, my protagonist, has written many of the blog posts at http://blynngoodwin.com. WOW: What's up next for you? LYNN: Right now I’m working on a memoir about getting married for the first time at 62 to a 2-time widower that I met on … gulp … Craigslist. I’m also thinking about my next Sandee story. I think it will start at the DMV on the day that she goes to get her license. I’m teaching Independent Study in Writing through Story CircleNetwork I’m scheduled to present a workshop at the Story Circle Network Conference in April and a salon about the powers of journaling at the International Women Writer’s Guild in July. Four times a year I produce a new issue of Writer Advice, and I’m reading and responding to all submissions for our four contests this year. In my spare time, I read for book reviews; walk Eddie McPuppers, who is our dog-dog and a columnist for a Petfinder Newsletter; and spend time with the man I married 4 years ago. Thanks for giving me the opportunity to share my thoughts with the readers of this Muffin interview. This has been a great experience. WOW: Hang on, Lynn because the experience is just beginning. After all this is just the first stop on your WOW Blog Tour. Enjoy the tour everyone! Stop by for an interview with B. Lynn Goodwin and a chance to win Talent! Read a review of B. Lynn Goodwin's YA novel Talent about all the drama in high school and enter to win a copy. Author B. Lynn Goodwin shares tips for discovering your hidden talents. B. Lynn Goodwin, author of the YA novel Talent, shares five ways to cope with loss and the opportunity to win a copy of Talent! Wonder what makes writers tick? Learn more about author B. Lynn Goodwin in today's interview. Author B. Lynn Goodwin will be sharing ways to make your writing shine -- and we all want shiny writing! Enter to win a copy of her latest book: the YA novel Talent. B. Lynn Goodwin, author of the YA novel Talent, stops by today with a guest post. Don't miss it! Author B. Lynn Goodwin, author of the YA novel Talent, shares some acting techniques to help you create three dimensional characters. Action! Don't miss today's review of B. Lynn Goodwin's debut YA novel, Talent. 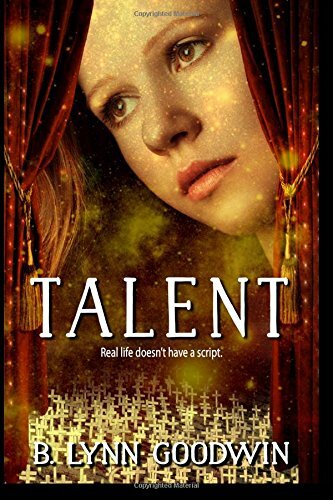 Learn more about author B. Lynn Goodwin in today's interview and read a review of her YA novel Talent. B. Lynn Goodwin's tour for her debut YA novel, Talent, is coming to a close. Don't miss today's review. B. Lynn Goodwin, author of the Young Adult novel Talent shares "5 Ways to Tap into Universal Truths about Young Adults". Enter to win a copy of Talent! Just fill out the Rafflecopter form below. We will announce the winner in the Rafflecopter widget this Monday, March 7. Watching the Oscars last night made me think about how all of us are trying to make our statement in the world, and many of us do that by working on being unique. I think it is possibly one of the hardest things to do in a world where people who are truly unique are often criticized, bullied, and in some places–ostracized. But let’s look at it on even a smaller scale. What happens to kids and teens (and even adults) who do not fit the mold of what everyone else is doing? Every once in a while, this person will hit it big somehow--maybe even win an Academy Award. But unfortunately, we don’t have to look too far to find the disappointing and often depressing answer to this question: many of these kids and teens wind up committing suicide or suffer from depression. They are pleading with society to just understand that they are unique, and that this is something to be celebrated. This is one of my favorite photos of my daughter--she is unique. And of course, I think that because I'm her mother. But I find her struggling with this concept even in preschool--I'm telling her to be herself, and she wants to make sure all her friends like and play with her. I hope that I am teaching her that in a world where everyone expects you to fit in and be like them, it is okay to always think you are “QUEEN OF THE WORLD.” No matter what challenges come your way, you will end the day with your hands above your head, with a song in your heart, and with a love for yourself. I wish this for her in the worst way, and I will work as hard as I can for this to happen. 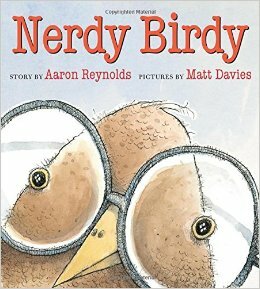 I also thought I would share a couple of young adult and middle grade books with you that I think do a tremendous job of sharing the stories of unique people. If you haven’t read these yet, then please check them out. If you have read them, then share them with someone who hasn’t. Almost Perfect by Brian Katcher: You only hurt the ones you love. Logan Witherspoon recently discovered that his girlfriend of three years cheated on him. But things start to look up when a new student breezes through the halls of his small-town high school. Sage Hendricks befriends Logan at a time when he no longer trusts or believes in people. Sage has been homeschooled for a number of years and her parents have forbidden her to date anyone, but she won’t tell Logan why. One day, Logan acts on his growing feelings for Sage. Moments later, he wishes he never had. Sage finally discloses her big secret: she’s actually a boy. Enraged, frightened, and feeling betrayed, Logan lashes out at Sage and disowns her. But once Logan comes to terms with what happened, he reaches out to Sage in an attempt to understand her situation. But Logan has no idea how rocky the road back to friendship will be. Tithe by Holly Black: Welcome to the realm of very scary faeries! Sixteen-year-old Kaye is a modern nomad. Fierce and independent, she travels from city to city with her mother’s rock band until an ominous attack forces Kaye back to her childhood home. There, amid the industrial, blue-collar New Jersey backdrop, Kaye soon finds herself an unwilling pawn in an ancient power struggle between two rival faerie kingdoms — a struggle that could very well mean her death. Wringer by Jerry Spinelli: Palmer LaRue is running out of birthdays. For as long as he can remember, he’s dreaded the day he turns ten — the day he’ll take his place beside all the other ten-year-old boys in town, the day he’ll be a wringer. But Palmer doesn’t want to be a wringer. It’s one of the first things he learned about himself and it’s one of the biggest things he has to hide. In Palmer’s town being a wringer is an honor, a tradition passed down from father to son. Palmer can’t stop himself from being a wringer just like he can’t stop himself from growing one year older, just like he can’t stand up to a whole town — right? Newbery Medal winner Jerry Spinelli’s most powerful novel yet is a gripping tale of how one boy learns how not to be afraid. Wringer, a middle-grade novel, is one of the best books I’ve ever read! The other two are amazing young adult novels. I would love to hear if you’ve read a book with a unique main character. Please share the title below. I would also love any comment about being unique--in your writing or in your life! 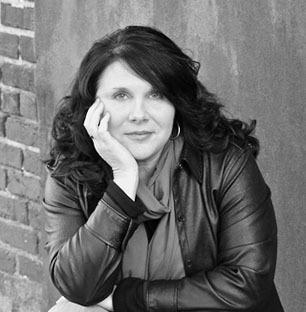 Margo L. Dill is a children’s and young adult author of three books: Caught Between Two Curses, Finding My Place: One Girl’s Strength at Vicksburg, and Maggie Mae, Detective Extraordinaire: The Case of the Missing Cookies. You can find out more about Margo and her books at http://www.margodill.com. Last time we met, I shared a couple of cardinal sins having to do with spelling, grammar, and punctuation. This week, after dealing with about a trillion emails, I decided to share…well, maybe not sins so much as annoyances, little things that nearly drove me around the bend. You don’t want to be the one responsible for driving editors, agents, or publishers around the bend, do you? So let’s take a look and vow to change our errant ways. It’s so tempting to keep the first email address you’ve ever had. I’m sure when you thought up a cutesy name like SexySuzytheWriter it seemed like a great idea. And if you write erotica and don’t want the teachers at your child’s grade school to know your name, then I will give you a pass. But if you now write stories for children and still use the SexySuzy email, then it’s time to make a clean break. It’s time to be a professional and use your real name. Besides, those cutesy names are so hard to remember. If I have a list of authors that I’ve contacted, and I need to contact them again, and their name is in their email, then it’s a simple procedure. I type, the names pop up. But invariably, I come to a name that does not pop up. Oh, snap. What name did that person go by? Ilovemonkeys? FictionFan? Bob’sYourUncle? Make it easy for someone to reach and remember you. Just use your name. So you receive an email, one asking for a writer bio, or maybe a slew of edits. And you promptly send it back with all the information. And then you receive another email, from the same editor or whomever, asking for the writer bio or the slew of edits. At which point, you feel compelled to defend your honor: “But I emailed that information already,” you say. Which requires another email from the other end, asking again for the bio and/or edits. But wait. You have a good excuse. A personal loss, family on vacation, the laptop blew up in an unfortunate experiment. When you have a legitimate reason for a late response, by all means say so. The person on the other end will most likely understand and try to work with you. Chances are very good that it is too late and now you have put someone in a difficult position. Or at the very least, you have branded yourself, but not in a positive way. 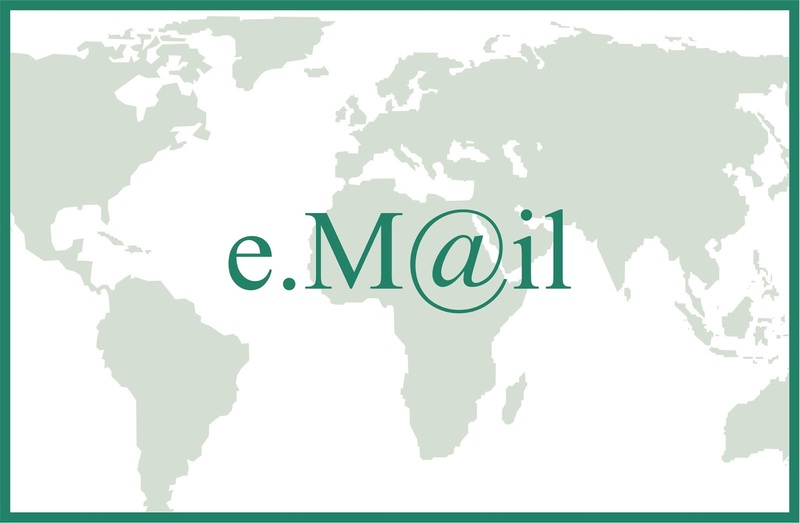 So break the “Hope I’m not too late” email habit and respond to an email when your receive it. If you want to drive an agent or editor or publisher crazy, I won’t stop you. Just make sure it’s because your writing is awesome and not because your emails are annoying. Document design is the way you format your writing on the page. It helps promote the readability of your manuscript, you query letter, or your book proposal. Although document design is not as important as the substance of your writing, the way it’s formatted makes a difference in how your audience perceives it. Many editors, agents, and others who read submission require certain formatting such as double-space, 12 pt. font, etc. Their requirements, whatever they may be, likely promote manuscript readability. The requirements also standardize the look of submissions, which makes it easier to read them when editor is reading dozens or even hundreds of them. Document design for fiction and other types of creative prose is usually pretty simple. When you create something like a book proposal that has multiple sections and headings is where you could have more flexibility. Adding items like a cover page, table of contents, section headers and subheaders all contribute to making your content easier to read. When your content is easier to read and navigate, it ensures that your audience will focus on your excellent content rather than straining its eyes through poor font sizes or style choices, lack of spacing, or even too much spacing among other document design faux pas. See here for more on document design. Facebook feeds my writing insecurities. Connected to many successful authors that I only know as ‘friends’ because of our common love of writing, I read their posts, happy for all their great news, but sad for me. When I see how hard everyone is working on their books, promotions, and travel for book signings, I worry I have failed. Am I a writer at all? I ask myself this too many times during the day when I should, at the very least, be writing these pitiful thoughts down to purge from my system. After all, I started writing in 2009 to come to terms with the loss of my husband. I am good at finding my way by taking life’s lessons and writing myself into my own next chapter. Until now. I am in a slump, trying to determine what to write about next. Health issues have slowed me down, but so has my desire to write about the same topics. I need a new viewpoint. A new inspiration. Time to decide if I want to write non-fiction or fiction. In the meantime, I waver and do nothing. Well, almost nothing. I am reading more now. Lots more. A friend recently gave me a copy of Hemingway’s A Moveable Feast. He knows I love memoir. He also knows my last book was a little picture book, A Dog Dreams of Paris, starring my rescue dog Miss April in Paris. Doing research on Paris (I’ve never been there) I fell in love with the City of Lights. I also love the period of the Lost Generation, as depicted in Woody Allen’s movie Midnight in Paris. The book was kismet for me. Reading it had a domino effect. It lead me to discover books I love that I never knew existed. (Not to sound like a dolt, I do know Hemingway!) I’ve found authors that are inspiring me now. I am reading more than writing. I am learning. It is exhilarating! My point of this little post is simple. As a writer, I feel like a failure if I am not writing. I’ve been hard on myself when I shouldn’t be. I’ve taken some time off, to heal from my surgery, but also to open my mind to new ideas, to find the next path for my writing. I am putting that thought in a folder called GROWTH. Growing pains can be hard. It takes time to mature. My plan is to come out of this quiet period knowing myself better, having read some incredible books, and finally, a new book of my own. I am a writer. I am a writer. I am a writer. My mantra. It is good to take a deep breath and plot your own story line as well as your next book. I just need to remember no one likes a weepy heroine! Facebook tells me so. Barbara Barth is a writer, blogger, antique dealer, and dog whisperer. She lives with five rescue dogs that rescued her. She is the author of The Unfaithful Widow (a finalist in the 2011 USA Best Book Awards), Danger in her Words, and a picture book A Dog Dreams of Paris (a portion of the proceeds go to animal rescue). Her work has appeared on many women’s blogs and in On Purpose Woman magazine. In addition to her own writing, Barth helps share author’s books on her two book blogs, Book Talk and Writer With Dogs. 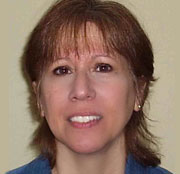 Visit her website www.barbarabarthwriter.com or contact her at bb-bjd@comcast.net . Most marketers know that the majority of social media channels don’t share your posts to all your connections. So, if you post something to Facebook, the majority of those connections won’t see your post. We’re talking about at least 98% of your connections will never see that post. Pretty dismal, right? And, the same holds true for most of the other channels, including Twitter. This obviously affects your marketing reach. According to marketing pro Jay Baer, there’s something called “reliable reach” and social media doesn’t make the cut. So, what is reliable reach? It’s the ability to have a message you send to a particular person actually reach that person. 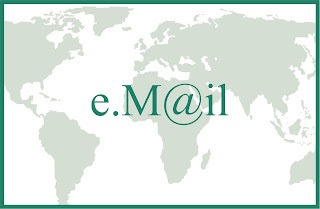 Emails have reliable reach, so do telephone calls, a fax, and direct mail. Social media does not. If you’re like me, you spend time and effort on working the social media channels. BUT, the majority of your connections aren’t getting the opportunity to receive what you’re posting. So, say you have 5,000 Twitter followers. Your reliable reach is only 2% or less of that number which is about 100 followers. The reason given for this lack of ‘real’ marketing reach on social media channels is because there’s just too much information being posted and processed. Well, if you want to cut through that noise, all you have to do is pay. If you pay Facebook or Twitter, your posts will reach a lot more of your connections. But, what if you don’t want to pay or don’t have it in your marketing budget? How do you compensate for this highly unreliable reach? 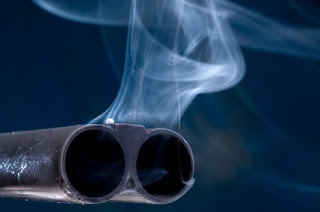 Baer recommends putting down your marketing ‘rifle’ (targeted approach) for a marketing ‘shotgun’ (board range approach). With the targeted approach, you produce great content, focus on one to three social channels, and strive for a large following on the channels you’re working. But, for this approach to work, you need reliable reach and that’s just not happening. The broad target approach is based on using a lot of social channels and posting lots of content. The theory is if you send more posts in more places, you’ll reach more connections. 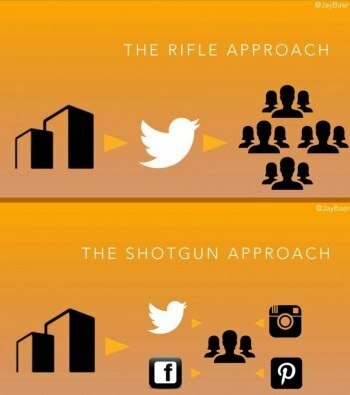 The shotgun approach makes sense to me, as long as it’s not used abusively. People don’t want to be bombarded with your content or sales pitch for that matter. You’ll need to fine ‘the magic number’ of postings that enables you to reach more of your followers, but not so much that you put anyone off. As with everything in life, moderation is best. Join Karen Cioffi's upcoming online class, GIVE YOUR AUTHOR/WRITER BUSINESS A BOOST WITH INBOUND MARKETING. You'll learn about basic website optimization, blogging smart, email marketing, and social media marketing. Visit our classroom page for details and enrollment! I have a running list of comfort foods I like to indulge in—Wisconsin mac and cheese (topped with parmesan chicken breast) from Noodles and Company, chicken and dumplings from Cracker Barrel, a nice, cheesy, New-York style slice of pizza, cupcakes . . . the list is pretty much endless. To that effect, I have favorite “comfort” books I read over and over. This never ceases to surprise my husband, who has never been much of a reader. Both my kids do the same thing, though, and I laugh a little to myself every time I see my daughter check a book she’s read at least 20 times out from the library once again. Duncan, Christopher Pike, and the Sweet Valley High series over and over and over. Now, my collection has progressed somewhat, although I don’t have as many. Elin Hilderbrand’s books top my list of comfort reads—especially The Blue Bistro. Opening the pages of one of her novels instantly transports me to a place I long to visit, Nantucket, Mass. When I reread Jodi Picoult’s novels I often pick up on hints that I previously missed. I guess for me, I like to slip back into familiar books the way I would slip into a cozy old sweater. I feel like I know the characters by heart—like I’m part of their world, entrenched in the lives and their homes. I often stumble across things I missed in previous readings—mostly because I was in a rush. I like to revisit books where I know what’s going to happen and don’t have to put a lot of thought into what I’m reading, much like the way I’d rather order up my favorite cupcake than take a chance on trying a new flavor. In this article I found in The New York Times, the writer says “Going back to a book is a way of daring that past self to find new evidence for that old love." And did you know that researchers believe reading a book a second time can have emotional benefits? On a first read, readers are focused on what is happening in the story—the main events. On the second read, one can savor the emotions ignited by the book more deeply. This happened to me when I read The Help by Kathryn Stockett a second time. I was in such a rush to finish the book the first time I didn’t connect with it on as deep of a level as I did the second time, when I became filled with anger, sadness, defiance, grief, and triumph. When I read the book Killing Mr. Griffin by Lois Duncan again as an adult, after having moved through my high school and teenage years, I read the pages with a more seasoned viewpoint of things. I’ve had teachers and professors that used “tough love” as a way to make me a better writer. It made the central death in the novel all the more poignant, and senseless. I hope to one day publish a book that others will enjoy reading more than once, too. Do you have any books you read over and over again? Share your favorites in the comments below! Renee Roberson is an award-winning writer and editor who also works as a Blog Tour Manager for WOW! Women on Writing. When she’s not working on client projects, she enjoys spending time with her family and writing young adult and middle grade fiction. Visit her blog, Renee's Pages, for more musings about books and writing. Here at WOW, we get all kinds of stories submitted for our flash fiction contests; some are funny, some are sad, some have twists…(keep ‘em comin’ ‘cause we love ‘em). Allison Luther’s Swinging will make you want to grab your kids and give them a big hug! After living in such varied places as Southern Indiana, England, Southwest Florida, and Southern California, Allison currently wakes up each day in the Seattle area. With three children ages five and under, she spends her days doing laundry, pretending not to see the crackers all over the floor, and writing stories in her head. When she’s not busy rescuing the children from whatever mess they’ve gotten themselves into, Allison is an avid reader, snarky cross-stitch enthusiast, and general science and pop-culture geek. With one child on the autism spectrum (and waiting for evaluations on the little one), she is passionate about autism advocacy, and, if given the chance, will also talk your ear off about women’s rights and English and Scottish history. Her favorite genres are historical fiction, horror, and suspense/thriller. She is currently working on her novel Bad River, set during the Civil War. 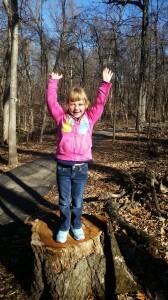 You can read about her family’s journey with autism on her blog http://simondoesntsay.com. She is also a frequent retweeter at @AllisonLuther. WOW: Hi Allison, congratulations and thank you for visiting with us today. What prompted you to enter WOW’s Summer 2015 fiction contest? Allison: A friend of mine sent me a link to the contest in mid-August and thought I might like to enter. I often joke that I can’t introduce myself with less than a thousand words, so writing a flash fiction piece seemed like a fun challenge. WOW: Could you share with us the inspiration behind Swinging? Allison: The song from Swinging (“Addy is swinging, swinging, swinging! Addy is swinging and having so much fun!”) is one that I sing when I’m pushing my kids on the swings. I was brainstorming for ideas and the rhythm of that song kept breaking into my thoughts. I pictured a mom sitting on a swing in an empty playground and singing to herself and the rest of it just came to me. I ugly-cried the whole time I was writing it. WOW: It is an emotional story; giving Addy the final line makes an impact! You say you “write stories in your head,” how did you come to have such a love of story making? Allison: When I was 6 or 7, I wrote my first story; it was about my dog. I continued to write stories and poetry until I was around 12 when I received some criticism that pretty much destroyed any confidence I had in my work. That’s such a delicate age, you know? So I stopped writing. Over the years I’d try to get back into it. People would keep telling me I was too dark, too depressing, so I’d stop again. I always had stories in my head, though, even during those dark years. I’d hear or see something and BAM! A story would be right there, waiting. It took me nearly 25 years to find my way back and I mourn all those lost stories that I was too scared to share with the world. WOW: With three children, one with special needs, how do you get any writing done? Allison: I don’t! *laughing* No, I mostly work after they’re in bed at night. My two oldest (ages 5 and 3) are in school during the week and my little guy still naps, so I have an hour or so a few days a week, too, when I can actually get some time to breathe. WOW: Tell us about your WIP, Bad River. Allison: In Bad River, we meet Ada Stanton, a young woman from a poor family in rural Virginia, and Lewis Bartell, a happily-married shopkeeper in upstate New York. Then personal tragedy and the Civil War rip through their lives, leaving one fleeing from justice and the other fighting to survive. After responding to an ad looking for a wife, Ada finds herself in the town of Bad River in the Dakota Territory and married to Louis Calvert, who refuses to talk about his life before the war. The past does not always stay hidden, however, and as the truth comes to light, Ada once again finds herself fighting for her very survival. WOW: It sounds like a real page-turner! Be sure to keep us updated. Meanwhile, we hope to see you here again with another flash piece. My children probably think I'm writing something about their lack of enthusiasm about chores. I'm often heard saying "do it anyway" in response to someone not wanting to put laundry away or load the dishwasher. Fortunately for you dear readers, today's post has nothing to do with laundry or dishes (but if you ask nicely, I'll share my chocolate chip cookie recipe in the comments if you'd like). Today, I'm talking about that inner voice that turns us away from doing something beneficial for ourselves. It could be your morning walk on the treadmill, opening your journal on a daily basis, or making time for date night with your spouse. When you feel like you're struggling in life, the best advice is "Do It Anyway!". That's easier said than done. It's in our nature to make excuses or think we aren't meant to be the priority right now. Once we lose focus, we slide down that slippery slope and our goals become harder to see and more difficult to attain. You knew all this already, but here's your not so subtle kick in the pants - Do It Anyway! I've gotten so busy promoting the work of others that I've completely stalled in my own writing. It wasn't intentional, life just got in the way. I hadn't even thought about it until I was speaking with a friend this morning. My lovely friend is a cancer survivor. A month ago she was on top of the world. She had been a year cancer free and she was working out, feeling great, and planning vacations. Today she is faced with a diagnosis that her cancer metastasized. She admitted to me that she can't stop crying and doesn't want to get out of bed. I am that friend - that friend who showed up at her door and lectured her about not allowing this diagnosis to steal her joy. I reminded her how much she loves watching the squirrels playing in her bird feeders, how much her grandchildren love visiting, and that she needs to rekindle that spark so she can fight this. So you dear friend - what is stealing your joy? What could you do every day to bring back that joy? What advice would you share with someone struggling to find time for their craft? 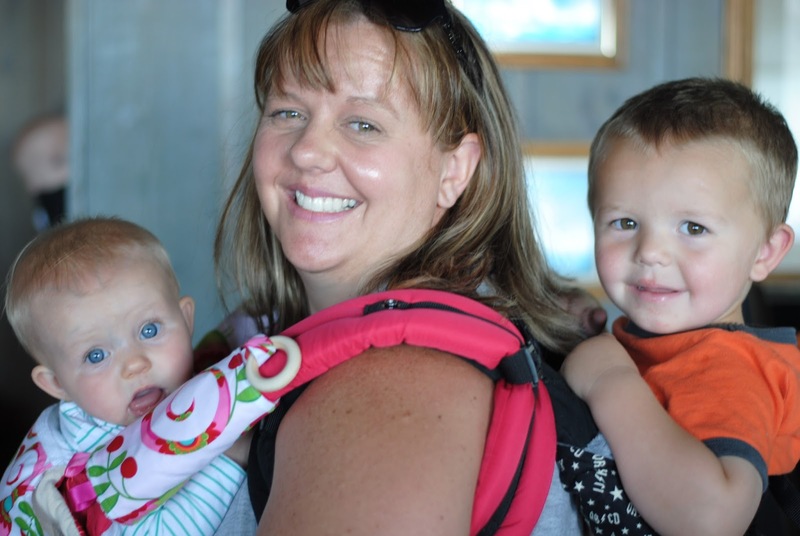 Crystal is a church musician, babywearing mama (aka crunchy mama), business owner, active journaler, writer and blogger, Blog Tour Manager with WOW! Women on Writing, Publicist with Dream of Things Publishing, as well as a dairy farmer. 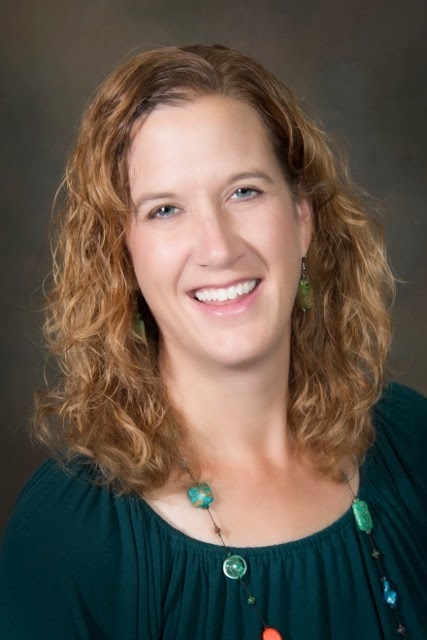 She lives in Manitowoc County, Wisconsin with her husband, four young children (Carmen 8, Andre 7, Breccan 2, and Delphine 11 months), two dogs, two rabbits, four little piggies, a handful of cats and kittens, and over 230 Holsteins. When I meet new picture book writers at conferences, we often end up chatting about our work. We discuss what we’re working on, what inspired our most recent story, and why we started writing for children. I started writing for children when I couldn’t buy the books that my nieces wanted to read. I also loved to read when I was a child – getting lost in a variety of stories. A lot of people tell me that they want to write picture books because they have lessons that children need to learn. A word of warning? Never tell an editor that. Seriously. Don’t do it. Editors don’t want books that preach. Even books that teach a child a lesson need to do so in an amusing way. The trick is to tell a story that just happens to be about an important topic. 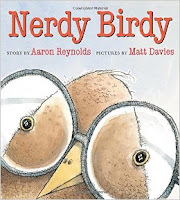 That’s what Aaron Reynolds did when he wrote Nerdy Birdy. This next paragraph is a huge spoiler. I’m going to give away the twist and everything else about Reynolds’ book so be warned. In short, Nerdy Birdy is an extraordinarily nerdy bird. Although he longs to fit in with the cool birds, they are cold at best, mean at worse. Eventually he makes friends with the other nerdy birds who like gaming and books, just like he does. One day Vulture moves into the neighborhood. This time, it isn’t just the cool birds that are mean. The nerdy birds don’t want to be friends with the goth bird either. Nerdy Bird realizes that his friends are now being the bullies and befriends Vulture although she likes different things than he does. Reynolds could have easily said “bullying is bad especially when victims become bullies.” He could have, but it wouldn’t have made a very good picture book. Instead he couched the lesson in a full-fledged story with a well-rounded character, a fully developed plot, and a twist. I for one didn’t guess until it happened that the nerds would become the bullies. A likable, recognizable character pulls readers into the story. Because readers want to find out what happens next, they keep turning the pages right until the end. The lesson is still there but it is part of the story. Part of being a children’s author is trusting readers to extract the lesson on their own. 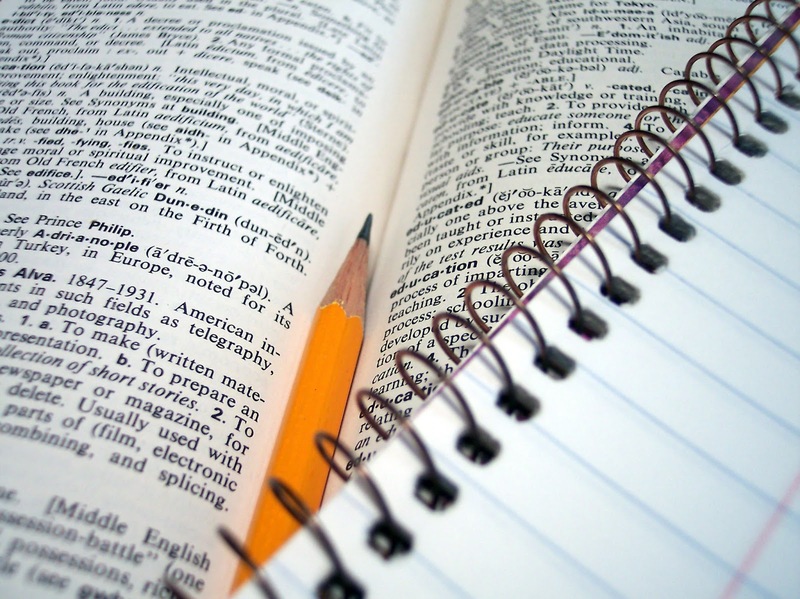 It doesn’t matter if you are writing nonfiction or fiction. It is okay to teach but if you want young readers, and editors, to pick up your work, the first thing that you need to give them is a good story. classics, banned books, bestselling books, Pulitzer Prize winners, book most likely to be assigned by your high school English teacher. Then just last year, long after it had become an accepted fact that Harper Lee would only publish one book an earlier draft of To Kill a Mockingbird was released. Although many people rushed to bookstores after waiting for this book for 55 years, I have not yet read Go Set a Watchman. So I cannot comment on the book's content. But I have thought about it. Not about reading it as much as about the circumstances of the publication. After a lifetime or privacy (the Greta Garbo of the literary world), in her golden years Lee was suddenly back in the spotlight. I wondered “Did she truly want this?” I worry that perhaps she didn’t but was just too tired to argue. It seemed strange to me that, at a time when people are becoming even more firmly set in their ways, Lee made an abrupt change. But I know nothing of Lee, her advisors or publishers. It is only something that makes me wonder. If Lee is like every other writer I know she did not write just these two novels. There will be other journals, scribblings, abandoned short stories, finished works that just weren’t quite right in her eyes, perhaps even some truly horrible poetry (no reflection on Lee’s talent, just my own when it comes to poetry). Now that she is gone will we next see a publication of her personal diaries or other writings? Would she want that? I wonder. I don’t know about all writers but I know I have a hard time parting with anything I’ve ever written (I have something in common with Harper Lee!). Even the manuscripts that my son would describe as “epic fails” are stuffed in the box under my bed or transferred to the “old files” file in my computer. And there they sit, waiting…for what? What if, after I die, my grandchildren decide to publish that horrible love triangle romance I wrote when I was 20 thinking “grandma would have wanted to see it published”? Of course this is less an issue for me than for writers who have made a name for themselves as successful writers. After a writer’s death should their heirs have the right to go under the bed to drag out the old manuscripts, crack the computer password to get to their files or peruse personal journals for publishable materials? Can you save the your failed works and still prevent them from being published? Do you think a writer’s wishes about their work should be respected after their death? Go to college they said, it’ll land you a great job they said. Fast forward to seven years out of higher education, and nothing but freelance gigs that pay just enough are my norm. Typical 9-5s never hired me in the past, so when an internship led me to writing, that’s where I stayed and have been since in between seasonal and contract jobs that usually last as long as an Orange is the New Black binge. Being that I’ve never been an “adult” by any means based on employment and other aspects of my life, I started to wonder what that word really meant. Supporting myself with minimal work and living on my own, that’s pretty grown...right? Instead, I had people tell me otherwise. So I started to look at those around me. What’s so adult about having a good job, but not wanting to take responsibility and move out on your own? Those are the questions that kept me up at night and while I would’ve loved to continue to just voice my opinion on Tumblr, the idea of what it meant to be a grown up, and all the aspects that went into it would not leave my mind. That’s when I decided I’d write a book about it. After a month or two of putting it off, I thought, why not a podcast? Those are all the rage, but thinking more about it...I had to veto the idea due to my Alvin and The Chipmunks like voice. Why I didn’t just figure a blog about it was the way to go in the first place escapes me. I’d already run my own music one for years and contributed to almost two dozen other various sites since ‘09--blogging was it, and Exploring Adulthood was born. Each week I explore a different aspect and in time, I’ve been learning a lot about others through this project. We grow up and are so set in our ways and what we know, but we rarely look at others and really take in their story; who they are past their Facebook posts and Twitter bios. Through interviews and surveys, I’m learning the highs and lows of adulthood from everyone else and realizing there are way more ideas out there than I would’ve initially guessed. While I make nothing from this venture, it has made me rethink what I want to do with my life. I’ve always written about music and pop culture, but talking with friends, family and friends of friends of friends, I’ve realized the good stories may just be right next door. Every day people are some of the most interesting characters you’ll encounter, so never stray away from them--use them to learn about a new take on life and then use that to continue to write, write and write some more. Growing up in a double wide in a small desert town that seemed a world away from normalcy, Kendra looked for an escape plan early on in life. At five-years-old she decided college was her way out - only she didn’t think past that point. Once she had that BA in hand, she realized the real world was more than MTV had portrayed. Typical jobs with steady pay always seemed to pass by her resume, and soon enough she fell into the world of freelance writing. 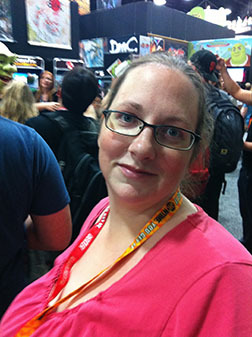 Over the years she’s contributed to MTV Geek, Rant Chic and Cartoon Brew. Today she lends her words to Entertainment Voice, Coming Up Magazine, Fandomania and more on top of handling two sites of her own; Golden Mixtape and Exploring Adulthood. With Lent in full swing, many of us have given up something in the hope that we’ll become a better person. So I was thinking it’s a good time to give up some of our more despicable writing sins in the hope that we’ll become…well, employed. You see, there are a number of blistering blunders that keep us from getting writing work. There are some mistakes that are so egregious that an agent, editor, or publisher will immediately pass on whatever we’ve offered, no matter how brilliant the concept, pitch, or query may be. What are these epic errors? I thought you’d never ask. You have spell check; you never have to worry about a spelling error. Except every writer knows that’s not true. Misspelled words often slip through, but I’m not talking about “food” when you meant to type “good.” That’s not exactly fingernails-on-the-chalkboard bad. Always check your there/their/they’re! And you might also want to check yourself on the use of “lose” and “loose.” For some reason, this, too, is a common writing error. It’s definitely wince-worthy, but I don’t think you’ll lose a job over it. On the other hand, there is one punctuation error that you shouldn’t let run loose. First, let’s make this point clear: its’ is never correct. If you want to show possession of an it, then it’s its. Secondly, an apostrophe is not something to be thrown around willy-nilly, just to be on the safe side. If you are not sure how to make a plural or show possession with numbers or abbreviations or whatnot, then look it up. Because plenty of editors will let a misplaced comma go on its merry way, but an errant apostrophe will always stand out in a sentence. “I brought sandwiches for you and I” is never right. I am so tired of hearing broadcasters say “I” when they should say “me.” I’m tired of reading it in the paper or hearing it at a conference. To be honest, I don’t know how editors, agents, or publishers feel about this particular wrong. But I am on a mission to stop it in its tracks before it becomes common usage. So please, think before you write. Give up those cardinal writing sins once and for all, and may your workbasket be ever flowing! Ariel Lawhon is co-founder of the popular online book club, She Reads, a novelist, blogger, and life-long reader. She lives in the rolling hills outside Nashville, Tennessee with her husband and four young sons (aka The Wild Rumpus). Her novel, The Wife, the Maid, and the Mistress (Doubleday, 2014) is centered around the still-unsolved disappearance of New York State Supreme Court Judge, Joseph Crater. Ariel believes that Story is the shortest distance to the human heart. This is a world of numbers and precision, a world where you do one thing and there is a specific, predictable outcome. And it is in this moment of deep concentration that he is struck by a thought: it is a pity that he cannot chart the human heart. Were it possible, he would spread Emilie's heart out on the table before him. Smooth out the creases. Measure its latitude and longitude. And then, when he could see the unbroken whole, he would place himself directly in the center. On May 6, 1937 the German airship Hindenburg erupted into flames while attempting to land in New Jersey. Ninety-seven passengers were on board. The cause of the explosion has never been determined, and the disaster is the basis for Ariel Lawhon’s historical novel, Flight of Dreams. I wasn’t familiar with this event in history prior to reading the book, so I found myself diving into a little extra research upon completion. For example, I was a little surprised to learn it was U.S. law that prevented the Hindenburg from using helium. It held a monopoly on helium and was concerned that other countries might use the gas for military purposes. Instead, the Hindenburg was forced to reengineer and use hydrogen, a much more flammable gas. Flight of Dreams is told over the course of the three-day flight in third person from the perspectives of several characters: The Stewardess (Emilie Imhoff), The Journalist (Gertrud Adelt), The Navigator (Max Zabel), The Cabin Boy (Werner Franz), and The American (Edward Douglas). 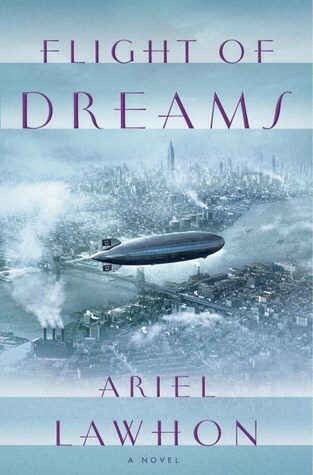 It took me several chapters to get the characters straight and become immersed in their individual stories, but once I got more familiar, I was quickly hooked by the intrigue and mystery running rampant on the airship. Emilie and Max are in love, but she is a widow who is hesitant to open her heart again. Also, fraternization is not allowed among the crew, and she has her own reasons for not wanting to return to Germany after the flight. The American has booked a passage with orders to kill someone on the ship. Gertrud, who is traveling with her husband, and older journalist, is nervous after hearing whisperings about bomb threats that have been made at the Hindenburg, and because of the couple’s precarious position with the Nazi party. And the 14-year-old Werner is earnest and trying to do a good job, but constantly finds the other passengers and crew blackmailing him in exchange for secretive errands and favors. He has also become smitten with a wealthy young female passenger on board. The author clearly did extensive research on the inner workings of such an airship, down to the various rooms, the one shower on board, prepared meals, liquor served, the design and mechanics of the ship, and more. I would have loved to see some sort of detailed diagram of the various compartments of the airship somewhere in the pages as an extra bit of content. Lawhon's explanation for what caused the explosion is probable, but no one knows for sure. 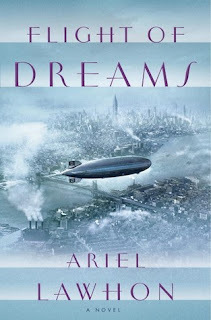 In the author’s note at the back of the book, Lawhon clarifies that Flight of Dreams is indeed a work of fiction, but she did extensive research on the characters she wrote about. If they survived the explosion in reality, they survived in the book; likewise, if any of the characters died, their fictional counterparts died as well. All told, 22 crew members, 13 passengers, and one worker on the ground died as a result of the disaster. Because of this, the ending of the novel ends on a heartbreaking tone. For those who enjoy reading historical fiction, this tale, rooted deeply in the foreshadowing of World War II, is something to sink the teeth into. And it will leave you scouring historical websites to learn more about the people who inspired the characters long after you read the final page. Renee Roberson is an award-winning freelance writer and editor who also works as a blog tour manager for WOW! Women on Writing. Visit her website at FinishedPages.com. Lisa Heidle lives in Atlanta, Georgia where she writes flash, short and long form fiction, articles and book reviews. 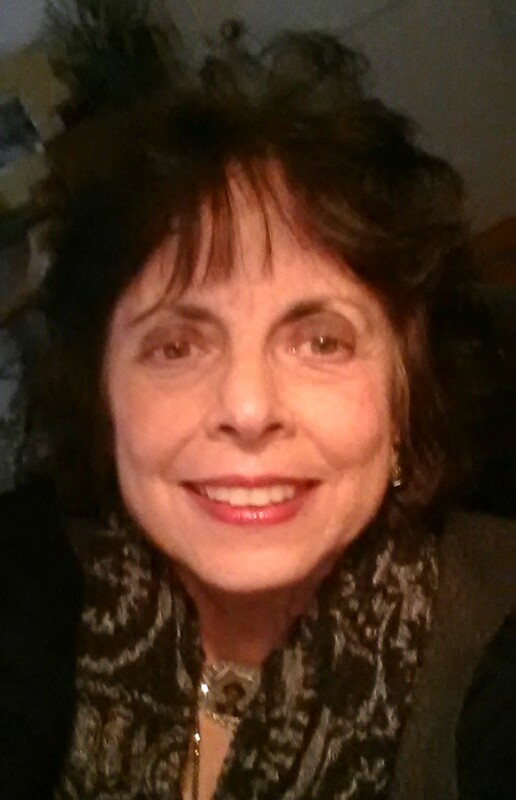 Her work has appeared inMash Stories, Sabal Literary Journal, The Chattahoochee Review, First Line and other literary journals. In 2014, Lisa attended Eckerd College Writers’ Conference, co-founded by Dennis Lehane and Sterling Watson, where she workshopped her first full-length manuscript with Ann Hood and a talented group of premier writers. Lisa is now working on her second full-length manuscript and her first collection of short stories will be released in 2016 through Two Keys Press. You can learn more about Lisa at www.moderndayscribe.wordpress.com. WOW: Congratulations on your top ten win in our Summer 2015 Flash Fiction competition! What inspired you to enter the contest? Lisa: Thank you! I submitted to WOW! Summer 2015 Flash Fiction competition because I liked that it was a platform for women writers to submit their work. The opportunity to have your work read by and receive feedback from a literary agent like Eve Porinchak is rare. Her feedback was invaluable and inspiring. WOW: We’d love to know more about your writing routines. Could you tell us when and where you usually write? Do you have favorite tools or habits that get you going? Lisa: I like to write in the morning when I’m fresh and the day hasn’t made any demands. Even though I have a home office, I tend to write at the kitchen table. Each new year I tell myself that I’m going to start using my desk then I end up back at the kitchen table. As far as tools or habits, I engage with my writing daily. It might be in the form of editing or submitting a piece, but I’m a strong believer that it’s all cumulative and that anything you do for your writing matters. I believe revision is so important to the writing process. Many new writers try to skip this part of the process and I truly believe they are missing out on a rewarding aspect of the writing practice. I will work on a piece for months at a time, put it away, then come back to it with fresh eyes. When I do this, I’m able to see holes in the story that I just couldn’t see at the beginning because I was too close, too invested. For me, this moving away from the story for a time and then returning to it has become an essential tool for my work and I place a lot of value on it. WOW: You write fiction and non-fiction, including flash, short and long form fiction, articles and book reviews. Do you find one more challenging than the others? Are you drawn to one form more than the others? Lisa: I’m a short story writer at heart. I tend to engage with characters in the shorter structure and, for me, I find it the most exhilarating form. I love being able to step into a character’s life and catch a glimpse of what they are feeling and doing. Someone once told me that everyone has a story and it’s important to them. That’s how I look at my characters—this is their story and it’s my job to honor it and tell it the best way that I can. The short story form allows me to do that. I also really enjoy writing flash fiction. I find whittling the piece down and still maintaining the integrity of the story an exciting challenge. It also builds the editorial muscle that is so important for writers. For me, writing long form fiction is the most challenging. The first full length manuscript I completed was written in a multi-narrative, non-traditional structure, which I can see now was a way for me to continue writing in the shorter form that feels more comfortable. I challenged myself with my second and now third full length manuscripts to develop a more traditional story arc. It’s not as natural for me as the short form but I’m determined to do it well. WOW: You've also completed a collection of short stories will be released this year. Can you tell us about that? What did it take to complete that big goal? Lisa: I am so excited for the collection to be released! I’ve been working on it for years. When I first started writing seriously, I knew that a short story collection was something that I wanted to accomplish. I’ve never taken my eye off that goal. The stories in the collection are close to my heart because some of them were my first. They’ve been revised, restructured and rewritten many times, all with the conviction that they would find a home in a collection. My hope is that readers will connect with the characters and their struggles, find something in these tales that resonate with them like so many of my favorite short stories have done with me. WOW: Let us know when your collection becomes available, and thanks so much for chatting with us today, Lisa! Before you go, do you have any tips for our readers who may be thinking about entering writing contests? Lisa: Do it! Submitting your work is a brave act. I think it’s important to remember that there’s a tier process when sending out your writing. When you first start, standard rejections are common. Many writers fear the rejection and avoid or stop submitting. What they don’t know is that as you advance as a writer, the rejections become more personalized, which is how you really start to see areas that you are doing well and where the writing can be improved. It’s a surreal experience when you get rejected but feel great about it! All feedback has value for a writer. Listening to the feedback with a willingness to learn keeps you from becoming defensive and it teaches you how your work is being received. Writing is a solitary occupation, but it does not have to be isolating. Sending out your writing connects you to the world, other writers, editors and platforms like WOW! For details and submission, visit our contest page. Last week, I wrote a post titled, "What Kind of Blog Post Inspires You the Most?" where I asked several questions about you as a reader of blog posts--and what makes you want to read a post and even comment. Luckily, some people answered my questions, and I want to share those results with you. I think anyone who blogs goes through some period of: is anyone reading this? If they are, do they think it's useful? Will I ever get a comment again? 1. Facebook posts will get more comments. You should feel good about Facebook comments! One thing I heard from a couple of you, and that I've experienced myself several times, is your friends really are reading your blog posts, usually on their phones, where it is difficult to comment on the post. BUT, they will return and comment on Facebook. The Former PK wrote, "My friends tell me 'it's too much trouble to comment on Blogger, but commenting on FB is no problem.'" As writers, we are so hard on ourselves. Our friends and family are clicking on a link we post on Facebook, and coming back to our page and leaving a comment (not just liking it). It doesn't matter if the comment is on Facebook, Twitter, email or the blog post--it's a comment! 2. Readers like both kinds of posts. I asked which kind of blog posts readers prefer--how-to/craft-type posts OR inspirational/writer's struggle posts. I also asked which type inspired people more to comment. It seems as if readers enjoy both types of posts. 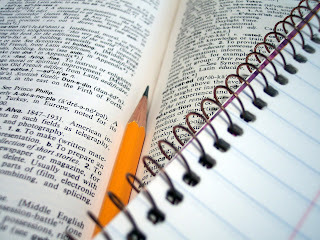 Sioux said, "As far as blogs on writing that I read, I like a blend of all the above. I enjoy hearing about the struggles that other writers grapple with, because then I know I'm not alone. I like funny posts, because my laughter allows me to take a break from the regular battering of rejection. I enjoy personal stories because then I can connect with the writer as a person. I HAVE noticed that if I include a photo of a cute dog/puppy, I tend to get more comments. Perhaps I should post a dog picture with every post, no matter what I'm blogging about? ;)" More than one person expressed this sentiment about the types of posts. And I thought I would include Sioux's advice on the cute dog photo in case you want to try it out! 3. Include humor and be real. This is the other piece of advice I gathered from the comments on my former post. If you can find some humor in what you are writing about, then include it. If not, then don't. Be real. Connect with your reader, if possible, and the best way to do that is to be real. Nina Powell said,"I think honesty from whomever is writing, no matter how it 'looks' to others, and that depicts growth in light of obstacles is what will make me want to blog and to come back for more. Also, blogs that would motivate me to connect with others and that are humorous would most likely cause me to take action with my own writing." Hopefully, this little survey will help all of us connect with our readers more because that is actually what is important--not the number of comments or likes, but whether or not you touched anyone with your words. 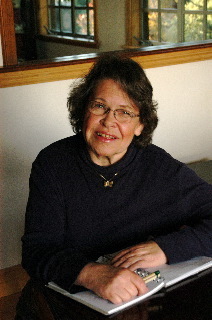 Margo L. Dill is a children's and YA author, living in St. Louis, MO. She teaches novel writing in the WOW! 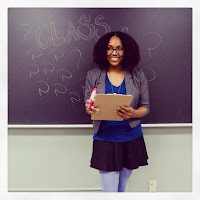 classroom and has been blogging for WOW! for almost 9 years! Find out more at http://www.margodill.com. Have you ever read a blog post about the craft of writing and thought, “Well, why didn’t I think of that?” This happened to me recently, when I checked out the blog post How Being a Project Manager Helped Me Become a Better Storyteller, by WOW! Blog Tour author Jennifer-Lynn Keniston. Jennifer works as a project manager by day, and she shared tips on how her day job helped her complete and publish her first novel. I’m the type of person who has to have deadlines—hard and fast ones. If I know an editor is waiting on something from me, I make sure I have it completed on time. When it comes to my own writing projects, I’m wimpy at best. I either hyperfocus until I finish a draft or I take my sweet time. I think this is why National Novel Writing Month works for me—because there’s a specific timeline. Unfortunately, once it is over, I’m not very good about reconnecting with the manuscripts I produce. After reading Jennifer’s blog post, I told myself I was going to develop a plan of action to complete the first round of revisions on a young adult manuscript I wrote in 2014 during NaNoWriMo. I put my project manager hat on, and here’s what I came up with, including some fun motivational exercises taken from Novel Shortcuts, Ten Techniques That Ensure a Great First Draft by Laura Whitcomb. Exercise: Put together music playlist for the novel. Exercise: Write 150 words of jacket copy. This will help drill down the core of the story. Exercise: Make a Pinterest board for the novel. Pin images of setting, what the characters might look like, pictures that represent themes, etc. Exercise: List five weak areas in the novel. Write solutions for how to tackle each one of them in the revision. Exercise: The Ten-Minute Heartstorm. Set a timer and write as fast as you can about a pivotal scene in ten minutes. Don’t overthink it. Let the emotions take over the page. Exercise: Focus on turning crosshair moments into great moments. Read previous chapters and make sure this is happening. Exercise: Remember Your Dream. 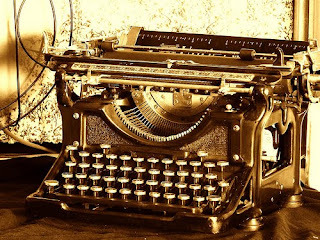 List ten reasons why you want to be a novelist. Read them out loud to yourself. Exercise: Do a cursory line edit of completed first draft. Pass on to beta reader. We’ll see how it goes. Putting it all down on paper (and mixing in a few fun exercises) has made me excited to dive back into the story. My schedule is also pretty full with freelance writing projects in the next few months so this will require some serious time management. Have you used a similar method to complete your own writing projects? I’d love to hear about your experiences. Renee Roberson is an award-winning writer and editor who also works as a Blog Tour Manager for WOW! Women on Writing. 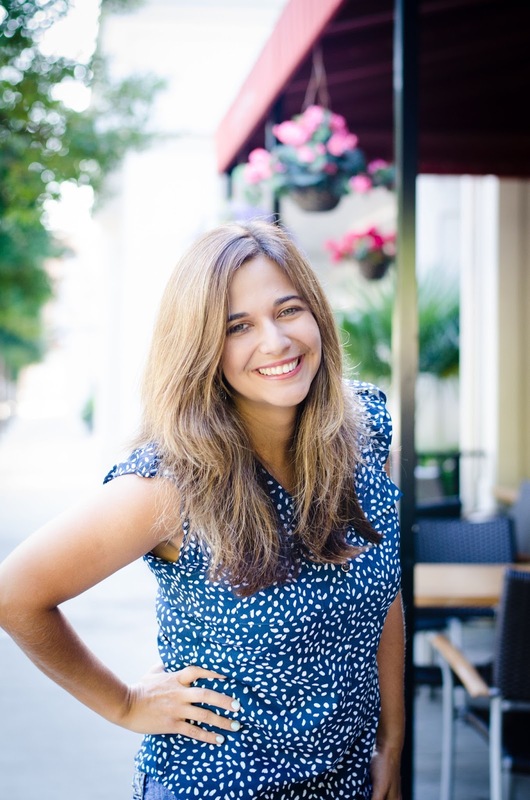 Her writing has appeared in magazines such as Charlotte Parent, Lake Norman Currents, The Charlotte Observer, The Writer and more. When she’s not working on client projects, she enjoys spending time with her family and writing young adult and middle grade fiction. Visit her website at: www.FinishedPages.com.